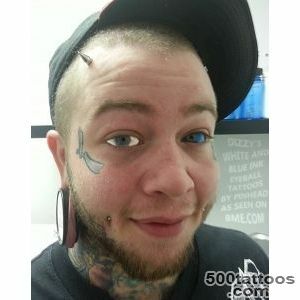 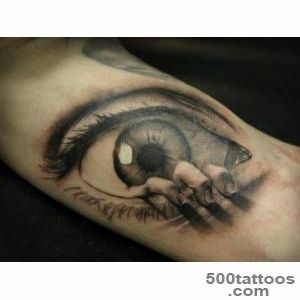 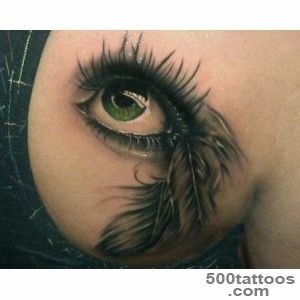 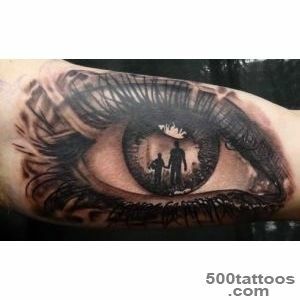 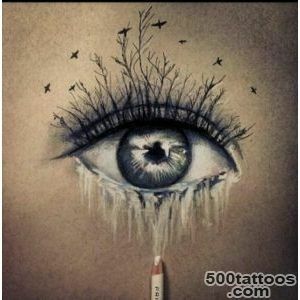 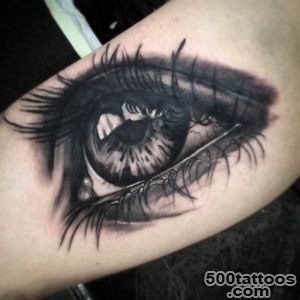 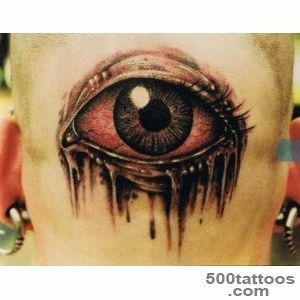 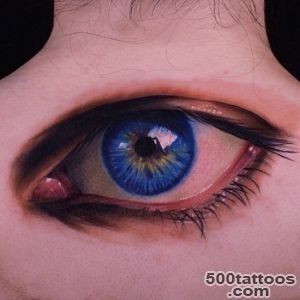 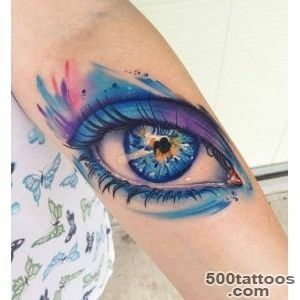 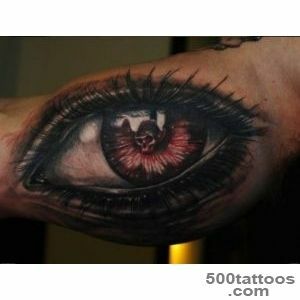 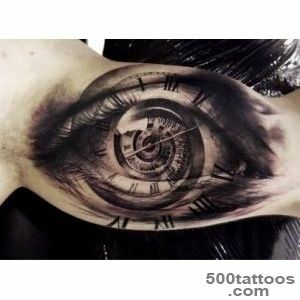 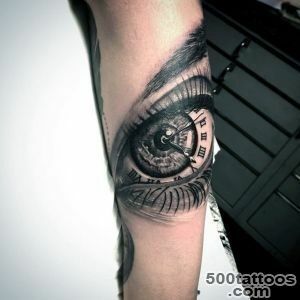 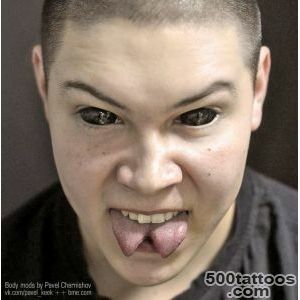 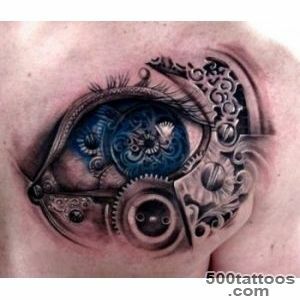 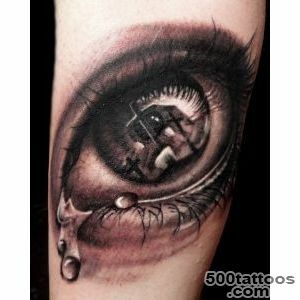 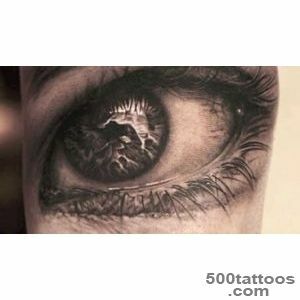 Eye Tattoo is one of those tattoos , which you can not take your eyes off . 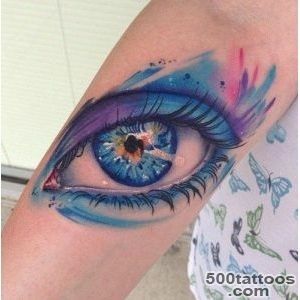 It has a huge number of varieties and incredibly deep ancient sense. 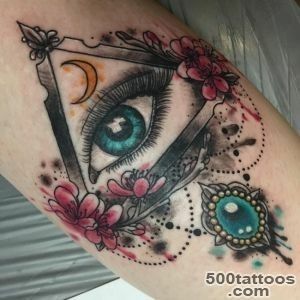 This tattoo can become that third eye for a man who will protect it from shocks in the back and help see through the human soul .Third Eye in ancient times could mean a higher , secret knowledge or a special divine gift . 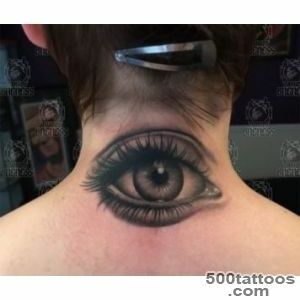 As it turned out , the eye tattoo on the back, shoulders , neck and head from behind a phenomenon quite old , such tattoos were applied mainly for the purpose of self-defense to the enemy or a beast of prey was not able to approach the man from behind. 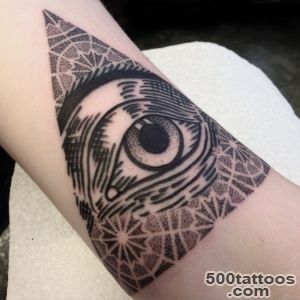 In many religions , like Christianity ,known image of the divine all-seeing eye that sees everything that happens around the world , so the eyes helps the person to feel the eyes of God and keeps it from the evil eye and misfortune . 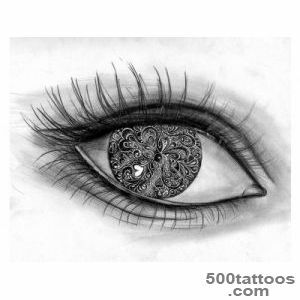 Indeed, in some cultures, it was believed that the human soul is in the eye and enters the body through the eye pupils,in the same way in the body could get and evil forces and spirits , which are directed to human wizards and witches his sinister gaze. 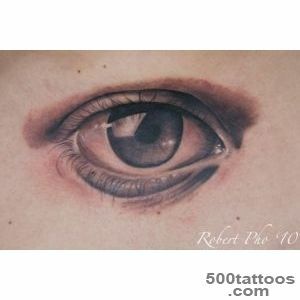 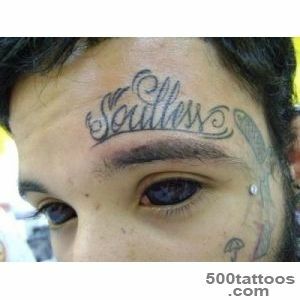 Often the value of a tattoo eye is taken as a means of protection against the envious . 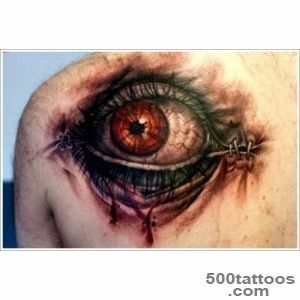 In ancient Egypt eye tattoo was most common , the Egyptians painted on his body the eyes of the gods Horus and Ra . 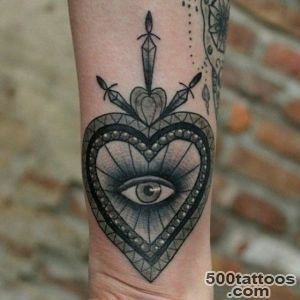 It was believed ,Eye of Horus that could allow a person to see the thoughts and desires of other people , and everything that happens in their souls . 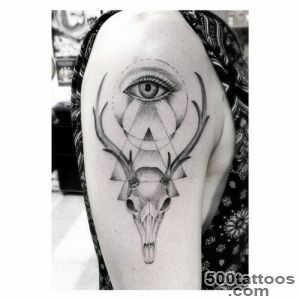 Eye of Horus was an amulet and a talisman , a symbol of rebirth and invincibility . 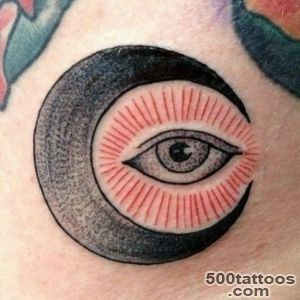 The right eye was a symbol of the sun , the left - the sign of the moon . 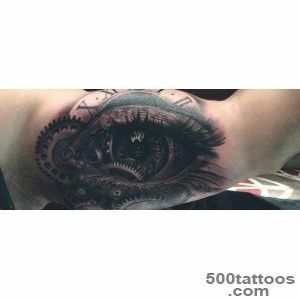 And the eyes of the main sun god Ra , according to legend watches every believer in it ,and provides the divine custody of a man symbolizes the light and healing, joy and peace . 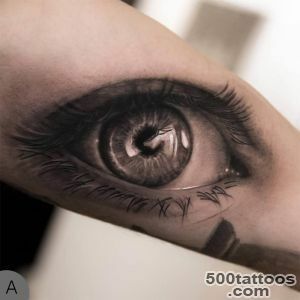 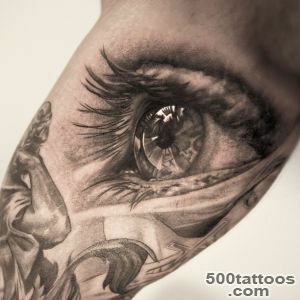 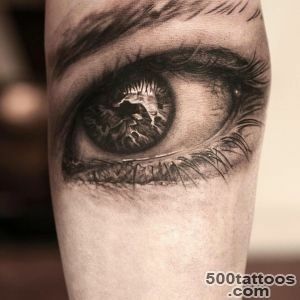 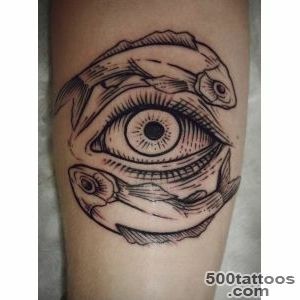 Eyes - a mirror of the soul , so the tattoo 's eyes can express absolutely any human emotions : sorrow and unquenchable sadness ( the eye with a tear ) , doubt and anger (eyes with frowning eyebrows ) , joy , simplicity and hope ( clear view )fear and uzhala ( frightened look ) . 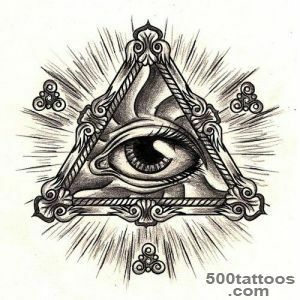 All-seeing eye in a triangle with a crown and outgoing light rays is a symbol of the Holy Trinity and undivided known Masonic sign , it serves as a reminder of the wisdom and vigilance of the Great Creator of all the worlds . 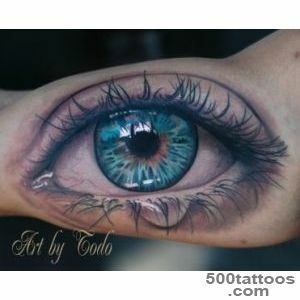 Eyes is a way to impact on another person ,recognized symbol of consciousness and morality . 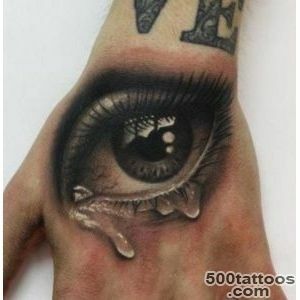 It can be noted from the negative meaning only that the eye tattoo on the wrist is the hallmark of active lesbian . 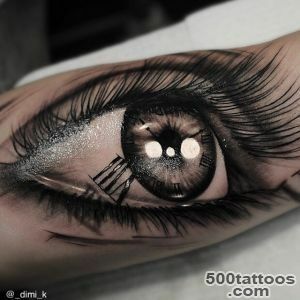 Despite this , many people like the eye tattoo is applied and because of its aesthetics and beauty, but also because of the extremely rare and original symbolic meaning .